After seeing Susan's Minecraft birthday party spread, I realized that my son's birthday is coming around the corner and I better keep my eyes open for some other fun ideas. 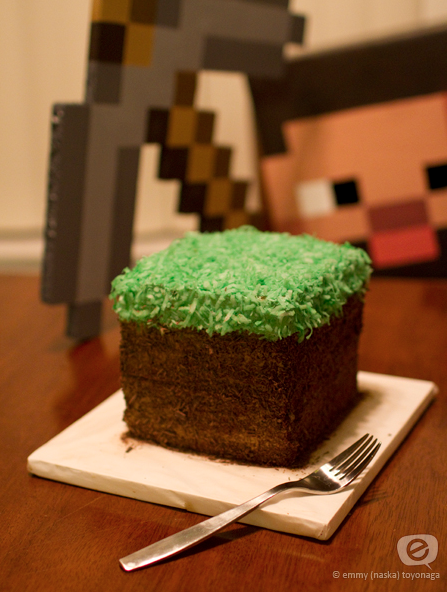 Ideas like this amazing dirt block Minecraft birthday cake. It helps that my sone already owns the costume head and pick axe from Halloween. You can check out this cake and other Minecraft ideas over on Emmy Toyonaga's Minecraft tumblr page.